Copyright: © 2018 Şahin R. This is an open-access article distributed under the terms of the Creative Commons Attribution License, which permits unrestricted use, distribution, and reproduction in any medium, provided the original author and source are credited. Background: Biofilm is the layer which is formed with the matrix produced through accumulation of the free organisms on a proper surface. This layer makes treatment of S.aureus infections difficult as it makes S.aureus resistant to antibiotics and inhibits phagocytosis. Methods: In the present study, it was aimed to compare the effectiveness of vancomycin, linezolid, dalfopristin, quinupristin and dalfopristin/ quinupristin in biofilm producing staphylococcus aureus. Eight clinical isolates which form biofilm equal to and above the reference strain, S.epidermidis ATCC 35984 which is known to form strong biofilm and 4 references cbiofilm positive ontrol strains were taken to study. Influences of antibiotics (vancomycin, linezolid, dalfopristin, quinupristin and dalfopristin/quinupristin) on biofilm-producing S.aureus strains was investigated by using 96 well microtitration plaque. Biofilm minimum inhibitor concentration (BMIC) and minimum biofilm eradication concentration (MBEC)vvalues were found These values were interpreted by comparing with MIC90 values for each strain and antibiotic. Results: The biofilm minimum inhibitor concentration and minimum biofilm eradication concentration values of 8 clinical isolates were found greater than 2-1280 and 8-1280 folds of MIC90 values. Conclusion: Biofilm formation was considered to play an important role in development of resistance to antibiotics for S.aureus and this should be considered when making a treatment plan. staphylococcus aureus leads to acute and chronic infections . Pathogenicity of S.aureus strains is related with adherence properties, various toxins, enzymes, structural and extra-cellular factors [2,3]. Slime factor production and biofilm formation are also pathogenicity factors [4-6]. S.aureus and S.epidermidis are the most commonly isolated agents in medical instrument-related infections [1,3]. Biofilm forming bacteria develop resistance to antimicrobial agents, agents which alter surface tension, temperature, host phagocytes, host oxygen radicals, proteases [4,5]. Various bacteria on surface protects the bacteria in the inner surface against antimicrobials through releasing catalase, protease, lipase besides mechanic shield effect [5,7]. Biofilm formation may lead to sepsis and chronic infections through protecting the micro-organisms from opsonophagocytosis and antibiotics . The biofilm layer is a sheltered structure which protects the bacteria from environmental conditions . Extracellular matrix which is composed of protein and exopolysaccharides, and adhesion surface play an important role in biofilm formation . Biofilm is not formed when any of these compounds is lacking [11-13]. A microorganism sensitive to antimicrobial agents becomes resistant when it forms biofilm and sensitive again when detached from biofilm . Oxygen intensity within biofilm is important for development of microbial resistance . Oxygen is known to be consumed at surface layers and an anaerobic environment is formed at the base [15,16]. Novel protocols which target specific virulence factors like biofilm structure may be administered together with traditional antibiotics in treatment of staphylococcal infections. Prevention of extracellular polysaccharide formation is reported to increase the antibacterial effect of traditional antibiotics [13,14,16,17]. They are used in treatment of staphylococcal infections [16,18]. Biofilm minimum inhibitor concentration (BMIC) and minimum biofilm eradication concentration (MBEC) are determinated to biofilm forming bacteria in antibiotic resistance [18,19]. The present study aims at investigating the influence of various antibiotics on biofilm- forming S.aureus strains. Suspensions were prepared from fresh cultures of S.aureus strains produced in blood agar at 0.5 McFarland turbidity and taken into 2% glucose tryptic soy broth (TSB)-containing tubes, incubated at 37 °C overnight. Cultures were diluted 1:100, 150 μl were incubated in 96 well polystyrene micro-titration plaques at 37 °C for 48 hours. Fluid medium was poured after incubation, wells were gently washed with distilled water for three times, reversed and dried. 150 μl of 2% crystal violet solution were distributed into wells and incubated at room temperature for 45 min. After incubation, wells were washed with distilled water again, dried by reversing on blotter. 150 μl ethanol acetic acid (95:5) was added onto wells, waited for 10 min and dye was dissolved. 100 μl was taken from each well and transferred to a new micro-titration plaque. Samples were read at optic reader (ELISA Reader, Pasteur Diagnostic, France) using a filter with 540 nm wavelength. The same strain was tested in three different wells and read. Results were compared with the absorbance values obtained from S.epidermidis ATCC 12228 which does not form biofilm and S.epidermidis ATCC 35984 which forms strong biofilm and interpreted [3,12]. Eight clinical isolates which form biofilm equal to and above the reference strain, S.epidermidis ATCC 35984 which is known to form strong biofilm and 4 references biofilm positive control strains were taken to study. Minimum inhibitor concentration values of the antibiotics were determined with standard micro-dilution method using Muller Hinton broth (MHB) which is added 25 mg/lt calcium and 12.5 mg/lt magnesium as medium in accordance with CLSI recommendations . For determination of minimum inhibitor concentration (MIC), 100 μl of vancomycin, linezolid, dalfopristin, quinupristin and dalfopristin/quinupristin (70/30) were distributed to 96 well microtitration plaques in two fold increasing concentrations between 0.125-1024 μg/ml [18,19]. The examined strains were incubated at 37 (35_+2) °C for 24 hours in fresh blood agar. Afterwards each strain was diluted in MHB so as to contain 1x106 CFU/ml micro-organism in 0.5 McFarland intensity. Of them, 100 μl was taken and transferred onto 96 well microtitration plaques which contain increasing concentrations of (0.125-1024 μg/ml) antibiotics. Minimum antibiotic concentration at which blurring was not observed after incubated at 37 (35_+2) °C for 18-20 hours was accepted as MIC value . S.aureus ATCC 29213 strain was used as control strain [20-22]. The influence of vancomycin, linezolid, dalfopristin, quinupristin and dalfopristin/quinupristin on biofilm forming bacteria was investigated. Bacteria which were grown in fresh blood agar at 37 °C for 24 hours was adjusted at 0.5 McFarland opacity in TSB [21,22]. They were diluted in TSB so as to contain 1x106 CFU/ml microorganisms. Of them, 200 μl was taken and transferred onto 96 well microtitration plaques. After incubation at 37 °C for 24 hours, supernatant was aspirated and micro-titration was washed twice with distilled water. The examined antibiotics were diluted in TSB so as to be in concentrations between 0.125-64 μg/ml increasing two fold and at values 640-1280 μg/ml after dissolved in distilled water and added into wells as 200 μl Microtitration plaques were incubated at 37 °C for 20 hours. Biofilm minimum inhibitor concentration (BMIC) values were found at the end of incubation. Minimum concentration at which growing was not visually observed was taken as BMIC [18,19]. Antibiotics were removed through washing micro-titration plaque with distilled water at the end of incubation. 200 μl fresh TSB was put into all wells and incubated in shaker for 6 hours. Afterwards, 10 μl of each well content was taken and incubated in blood agar. Growing colonies were counted at the end of 24 hours at 37 °C and minimum biofilm eradication concentration (MBEC) values were found. MBEC is defined as the minimum antibiotic concentration which kills % 99.9 of the bacteria on biofilm [18-22]. These values were interpreted by comparing with MIC90 values for each strain and antibiotic. Well which contains non-incubated TSB was used as control. For clinical isolates, MIC value was found as 0, 5-2 μg/ml for vancomycin, 0.5-8 μg/ml for linezolid, 1-16 μg/ml for dalfopristin, 0.5-32 μg/ml for quinupristin and 0.25-1 μg/ml for dalfopristin/quinupristin (Table 1). For clinical isolates, MIC90 values were found as 2 μg/ml for vancomycin, as 4 μg/ml for linezolid , as 16 μg/ml for dalfopristin, as 4 μg/ml for quinupristin , as 1 μg/ml for dalfopristin/ quinupristin. According to this, of clinical isolates, the minimum BMIC value was found as 8 fold of MIC90 value (16 μg/ml) for vancomycin, minimum BMIC value was found as 2 fold of MIC90 value (8 μg/ml) for linezolid, minimum BMIC value was found as more than 80 fold of MIC90 value (>1280 μg/ml) for dalfopristin, minimum BMIC value was found as 160 fold of MIC90 value (640 μg/ml) for quinupristin and minimum BMIC value was found as 2 fold of MIC90 value (2 μg/ml) for dalfopristin/quinupristin. According to this, of clinical isolates, the minimum MBEC value was found as 32 fold of MIC90 value (64 μg/ml) for vancomycin, the minimum MBEC value was found as 16 fold of MIC90 value (64 μg/ml) for linezolid, the minimum MBEC value was found as more than 80 fold of MIC90 value (>1280 μg/ml) for dalfopristin, the minimum MBEC value was found as more than 320 fold of MIC90 value (>1280 μg/ml) for quinupristin and the minimum MBEC value was found as 8 fold of MIC90 value (8 μg/ml) for dalfopristin/quinupristin. Many acute infections may be effectively treated with antibiotics as the result of scientific developments. However, this has two exceptions [15,23]. First is the presence of bacteria which is not sensitive to the antibiotic. Second, is the presence of bacteria which lives in biofilm [21,22]. Biofilm formation has two clinical importances . First is resistance to antibiotics. The second important feature of the biofilm phenotype is being protected from host immune cells. Biofilms grow slowly and their infections usually develop without exhibiting apparent clinical symptoms. Antibiotic treatment eliminates the symptoms which have been caused by the planktonic cells detached from biofilm .Biofilm resistance comes into the foreground more frequently together with the increasing measures for nosocomial infections . Treatment of biofilm-related infections gradually becomes more challenging. Resistant behavior of the bacteria in biofilm is the most important difference between planktonic form [24,25]. At least 3 different mechanisms are determinated in antibiotic resistance [5,23,26]. Molecular filter mechanism was shown to be the most important mechanism in prevention of the transportation of glycopeptides like vancomycin and teicoplanin . While bactericidal effect is observed in margins of biofilms treated with antibiotics, the bacteria which live in deeper parts survive and form a nidus for development of novel infection. While the outer layers of the biofilm absorbs damage, time is gained for commencement of stress response in the inner layers [23,26]. Bacteria which live in biofilm are observed to have different gene expression patterns when compared to planktonic bacteria [10,16]. This difference in gene expression leads to emergence of different bacteria with different phenotype. Micro-environment changes like pH, pCO2, hydration level of divalent cationic concentration, pyrimidin concentration are highly effective on biofilm formation [22-24]. These micro-environment changes which facilitate biofilm formation leads to antibiotic resistance through negatively influencing the antibacterial effect of aminoglycoside, tetracycline and macrolide [25,27]. The reduction in metabolism of adhered bacteria compared to planktonic bacteria has been shown with a significant reduction in membrane potentials . The reduction in production of adhered bacteria and filter mechanism are effective in beta-lactam and glycopeptide resistance [27,28]. The changes in growing rates of bacteria also change antibiotic responses (15). In other words, many antibiotics cannot be effective on the bacteria which are located in the deep layers of biofilm and exhibit reduced metabolism and division as they target rapidly cleaved bacteria . These findings indicate that biofilm enables antibiotic resistance development through influencing nutrition and growing of the bacteria. Detection of resistance mechanisms is of importance for development of novel treatment approaches. 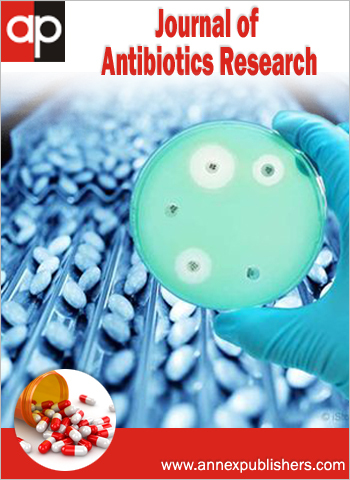 The newly developed antibiotics are wanted to be effective on bacteria which are in stationary phase and in biofilm . Quinupristin/dalfopristin was found effective on biofilm and reported to slowly kill the cecil bacteria in biofilm [22,25]. Linezolid was reported to reduce bacteria load even if it is in low concentration in biofilm [22,26]. In some studies, biofilm itself is suggested to reduce glycol-peptide activity [8,10,26]. Although S.epidermidis is highly sensitive to vancomycin, it is not possible to state the same for the bacteria in biofilm. Molecule size of vancomycin is suggested to be responsible for this reduced sensitivity [28,29]. Wilcox et al. evaluated the antibiotic concentration in biofilm through infusing vancomycin and linezolid within intra-vascular catheters. The authors have reported that vancomycin had a higher concentration in biofilm compared to linezolid and explained this with its glycol-calix structure’s binding glycopeptides. In the study evaluating vancomycin, ciprofloxacin and teicoplanin in MRSA isolates, MIC values effective on planktonic forms of bacteria were shown to significantly increase when compared with MIC and minimum bactericidal concentration values effective on adhered form developing after incubation at 37 °C for 20 hours in micro-titration plaque . El-azizi et al. compared sensitivity of 3 clinical staphylococcus isolates to linezolid, vancomycin, dalfopristin/quinupristin through MIC values and reported that biofilm bacteria are much more resistant to antibiotics compared to planktonics and scattered biofilm formation . Dalfopristin/quinupristin was reported to be the most effective on scattered biofilm . This effect was found not to be dose dependent. On the other hand, vancomycin was reported to be more effective on biofilm –forming bacteria in higher doses dose dependently (500-1000 μg/ml). Mathur et al. compared MIC and MBEC values in two control strains (S.epidermidis ATCC 35983 and S.epidermidis ATCC 12228) and two clinical isolates (MRSA and methicillin resistant KNS) using linezolid, vancomycin, dalfopristin/quinupristin and ranbezolid. MBEC was found to significantly increase compared to MIC values (2-16 fold) in all samples, less when dalfopristin/quinupristin and ranbezolid were used . Dalfopristin/quinupristin and ranbezolid were reported to be the most effective antibiotics on biofilm-forming bacteria. In our study, MIC90 values and BMIC values of 8 clinical isolates were compared. According to this, of clinical isolates, minimum BMIC value was found as 8 fold of MIC90 value (16 μg/ml) for vancomycin, minimum BMIC value was found as 2 fold of MIC90 value (8 μg/ml) for linezolid, minimum BMIC value was found as more than 80 fold of MIC90 value (>1280 μg/ml) for dalfopristin, minimum BMIC value was found as 160 fold of MIC90 value (640 μg/ml) for quinupristin and minimum BMIC value was found as 2 fold of MIC90 value (2 μg/ml) for dalfopristin/quinupristin. MIC90 values and MBEC values of 8 clinical isolates were compared. According to this, of clinical isolates, minimum MBEC value was found as 32 fold of MIC90 value (64 μg/ml) for vancomycin, minimum MBEC value was found as 16 fold of MIC90 value (64 μg/ml) for linezolid, minimum MBEC value was found as more than 80 fold of MIC90 value (>1280 μg/ml) for dalfopristin, minimum MBEC value was found as more than 320 fold of MIC90 value (>1280 μg/ml) for quinupristin and minimum MBEC value was found as 8 fold of MIC90 value (8 μg/ml) for dalfopristin/quinupristin. Biofilm bacteria were found to be resistant to antibiotics compared to planktonics in more than 8-1280 fold concentrations (Table ). Changes are seen in genetic structures of biofilm cells as the result of interaction and biofilms form an ideal environment for extra-chromosomal DNA changes. The cells of which genetic structures change through transformation of resistance plasmids develop more resistance to antimicrobial agents . In clinical aspect, biofilms are seen to have important roles in the infections in presence of permanent medical devices and in immunocompromised patients, treatment costs and mortality rates are seen to be higher. Besides, the biofilm phenotype being significantly different from planktonic phenotype is a severe problem both for the microbiologists and the clinicians. Biofilm growth plays an important role during infection by providing defence against several antagonistic mechanisms . In fact, biofilms were resistant to antibiotics at concentrations 10–1000 times greater than the ones required to kill free-living or planktonic cells . The results of the study indicate that inhibition and eradication of biofilm-forming bacteria are difficult and MIC values of antibiotics may need higher doses. Biofilm formation is seen to play an important role in resistance development and arrangement of treatment protocols. We would like to thank Vancomycin (Sigma Chemical Co.), Linezolid (Pfizer Ltd. Sti. ), Dalfopristin/quinupristin (VLG Chem., France ) for materials. 1 Schierholz JM, Beuth J (2001) Implant infections: a haven for opportunistic bacteria. J Hosp Infect 49: 87-93. 2 Lowy FD (1998) Staphylococcus aureus infections . N Engl J Med 339: 520-32. 3 Vancraeynest D, Hermans K, Haesebrouck F (2004). Genotypic and phenotypic screening of high and low virulence Staphylococcus aureus isolates from rabbits for biofilm formation and MSCRAMMs. Vet Microbiol 103: 241-7. 4 Watnick P, Kolter R (2000) Biyofilm city of microbes. Minireview. J Bacteriol 182: 2675-9. 5 Costerton JW, Stewart PS, Greenberg EP (1999) Bacterial biofilms: a common cause of persistent infections. Science 284: 1318-22. 6 Ammendolia MG, Di RR, Montanaro L, Arciola CR, Baldassarri L, et al (1999) Slime production and expression of the slime-associated antigen by staphylococcal clinical isolates. J Clin Microbiol 37: 3235-8. 7 Arciola CR, Baldassarri L, Montanaro L (2001) Presence of icaA and icaD genes and slime production in a collection of Staphylococcal strains from catheter-associated infections. J Clin Microbiol 39: 2151-6. 8 Amorena B, Gracia E, Monzon M, Leiva J, Oteiza C, et al (1999) Antibiotic susceptibility assay for Staphylococcus aureus in biyofilms developed in vitro. J Antimicrob Chemother 44: 43–55. 9 Rijnarts HM, Norde W, Bouwer EJ, Lyklema J, Zehnder AB, et al (1993) Bacterial adhesion under static and dynamic conditions Appl Environ Microbiol 59: 3255-65. 10 Donlan RM (2002) Biofilms: Microbial life on surfaces Emerg Infect Dis 8: 881-90. 11 Elder MJ, Stapleton F, Evans E, Dart JK (1995) Biofilm-related infections in ophtalmology Eye 9: 102-9. 12 Nabajit D (2014) Comparison of Tissue Culture plate method, Tube Method and Congo Red Agar Method for the detection of biofilm formation by Coagulase Negative Staphylococcus isolated from Non-clinical Isolates .Int.J.Curr.Microbiol.App.Sci 3(10) :810-5. 13 Donlan RM, Costerton JW (2002) Biofilms: survival mechanisms of clinically relevant microorganisms Clin Microbiol Rev 15: 167-93. 14 Post JC, Stoodley P, Hall-Stoodley L, Ehrlich GD (2004) The role of biofilms in otolaryngologic infections. Curr Opin Otolaryngol Head Neck Surg 12: 185-90. 15 Costerton JW, Lewandowski Z, Caldwell DE, Korber DR, Lappin-Scott HM, et al (1995) Microbial biofilms. Annu Rev Microbiol 49: 711-45. 16 Lewis K (2001) Riddle of biofilm resistance. Antimicrob Agents Chemother 45: 999-1007. 18 Melchior MB, Fink-GJ, Gaastra W (2006) Comparative assessment of the antimicrobial susceptibility of Staphylococcus aureus isolates from bovine mastitis in biofilm versus planktonic culture. J Vet Med B Infect Dis Vet Public Health 53: 326-32. 19 Ceri H, Olson ME, Stremick C, Read RR, Morck D, et al (1999) The calgary biofilm device: new technology for rapid determination of antibiotic susceptibilities of bacterial biofilms. J Clin Microbiol 37: 1771-6. 20 Trafny EA (1998) Susceptibility of adherent organisms from Pseudomonas aeruginosa and Staphylococcus aureus strains isolated from burn wounds to antimicrobial agents. Int J Antimicrob Agents 10: 223-8. 21 Olson ME, Ceri H, Morck DW, Buret AG, Read RR, et al (2002) Biofilm bacteria: formation and comparative susceptibility to antibiotics. Can J Vet Res 66:86-92. 22 El-AM, Rao S, Kanchanapoom T, Khardori N (2005) In vitro activity of vancomycin, quinupristin/dalfopristin and linezolid against intact and disrupted biyofilms of staphylococci. Ann Clin Microbiol Antimicrob 4: 2. 23 Pace JL, Rupp M, Finch RG (2006) Biofilms, Infection, and Antimicrobial Therapy. Taylor & Francis Group NW, 401-5. 24 Fojo AT, Dowdy DW (2017) Multidrug-resistant tuberculosis in India: looking back, thinking ahead. Lancet Public Health 2: e8-9. 25 Gilbert P, Das J, Foley I (2005) Biofilm susceptibility to antimicrobials. Adv Dent Res 11: 160-7. 26 Mathur T, Singhal S, Khan S, Upadhyay D, Fatma T, et al (2005) Adverse Effect of Staphylococci Slime on In Vitro Activity of Glycopeptides Jpn J Infect Dis 58: 353-7. 27 Patel R (2005) Biofilms and Antimicrobial Resistance. Clinical Orthopaedics and Related Research. Lippincott Williams & Wilkins 437: 41-7. 28 Szczuka E, Kaznowski A (2014) Antimicrobial activity of tigecycline alone or in combination with rifampin against Staphylococcus epidermidis in biofilm. Folia Microbiol (Praha) 59:283-8. 29 Chibueze IJ, Falaki AA, Danladi CM, Maje IM, Olayinka BO (2017) Biofilm Formation and Antibiotic Susceptibility Profile of Clinical Isolates of Staphylococcus aureus Isolated from Clinical Samples in Zaria, Nigeria. Clin Microbiol 6: 295. 30 Wilcox MH, Kite P, Mills K, Sugden S (2001) In situ measurement of linezolid and vancomycin concentrations in intravascular catheter-associated biofilm. J Antimicrob Chemother 47: 171-5. 31 Carina SM, João JM, José MC, Luís T, Patrícia CS, et al (2016) Susceptibility patterns of Staphylococcus aureus biofilms in diabetic foot infections .BMC Microbiol 16: 119. CLSI M23-A3 guidelines) were used in each study. Eight clinical isolates which form biofilm equal or above according to S.epidermidis ATCC 35984 and 4 biofilm positive control strains were studied. Şahin R, Kaleli İ (2018) Influences of Various Antibiotics on Clinical Biofilm Producing staphylococcus Aureus Strains. J Antibio Res 2(2): 203.